Duck is a thin ribbon of sand surrounded by water on both sides. The only thing keeping the Currituck Sound from flowing into Britt’s house is a short bulkhead, built into the sandy ground along the shore. His parents live next door; on the other side, he operates his business, Nor'Banks Sailing. He was born in the Outer Banks and has lived in Duck for more than 30 years. “If sea-level rise is connected to the level of the water in the sounds, than yes, it is happening,” he says. Duck, according to the Science Panel report, could experience the highest sea-level rise on the North Carolina coast – as much as 11 inches over the next 30 years. A previous report that looked out over the next century was even more ominous: more than three feet of rise. 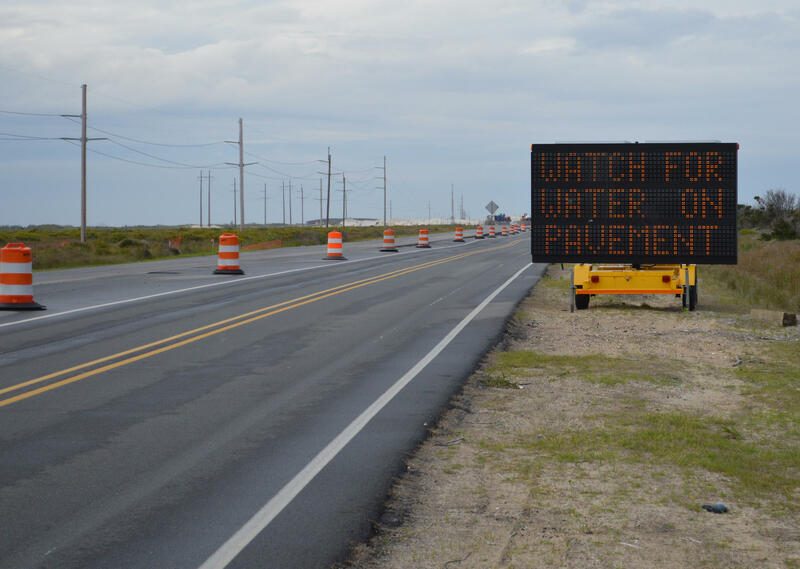 A sign warns of high water on Highway 12 on Pea Island in the Outer Banks. Duck is hardly the only endangered community. The North Carolina shoreline is more than 300 miles of constantly shifting sands. Including sounds and estuaries, the state has around 3,000 miles of coastline. It is a shoreline with urban, suburban and rural communities - and a huge draw for tourists – all sitting within one of the most dynamic ecological systems in the world. And it could all be in big trouble. If the “now” sounds pretty bad, the future could see even more dramatic changes to the coast. Three relative sea level rise (RSLR) scenarios by 2045 using published tide gauge rates and two different scenario projections from the International Panel on Climate Change (IPCC) representing the lowest and highest greenhouse gas emission scenarios, combined with local vertical land movement (VLM) at each tide gauge. That means the barrier islands would break apart, and the ocean and its accompanying storms would move into the sounds, virtually unimpeded. In addition to the rising water, the land in northeastern North Carolina is sinking. This is a geological phenomenon called subsidence. And don’t forget the waves. 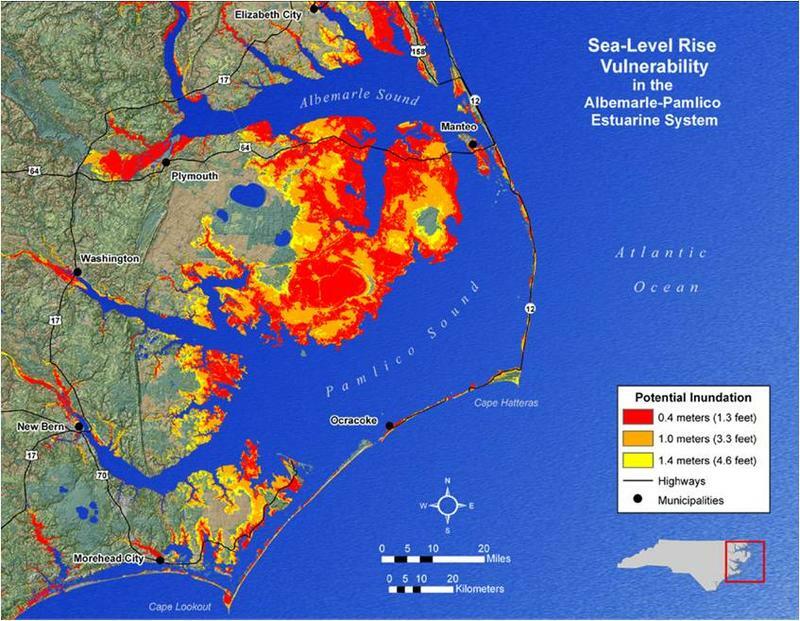 Geovisualization of potential inundation due to sea level rise in the Albemarle- Pamlico Estuarine System. On a normal day, a few inches of sea-level rise won’t change those waves enough to notice. But when a storm comes through –like Hurricane Irene in 2011 – all of those factors come into a stark reality in places like Duck – a thin ribbon of sand surrounded on both sides by water. On the ocean side, high waves dislodge sand and slam against the protective dunes. On the sound side, because there are no inlets in the northern Outer Banks, it’s like a bathtub - with high winds pushing all the water from the Pamlico and Albemarle sounds into the thinner Currituck Sound. Next door to Britt’s Nor'Banks Sailing business, beyond the line of catamarans and WaveRunners for rent, a new house is going up. As the economy rebounds, smaller houses are getting torn down again and replaced by larger rental properties. 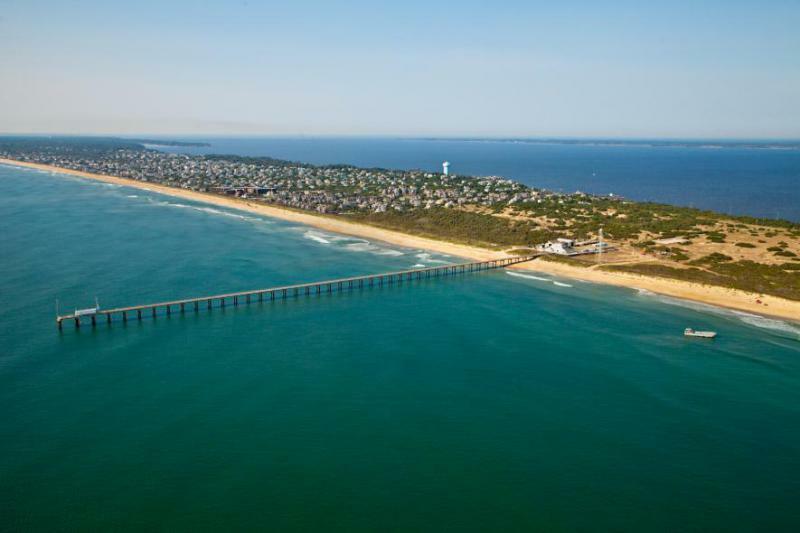 Those rental properties draw visitors, and that is what drives the economy on the coast. In Dare Co., there are more houses than full-time residents. 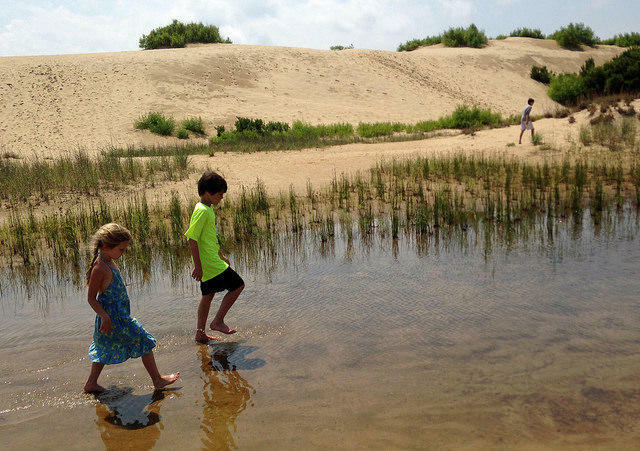 That’s a lot of vacation rental properties, and it is the job of town managers, planners and lawmakers to figure out the balance between the economy and the environmental realities. “The reality is, in any of these things, your mitigation efforts and your preparation is going to be limited by how much you are willing to spend,” says Chris Layton, the Town Manager in Duck. And as of now, the state of North Carolina has no plan to spend anything on preparing for sea-level rise. Following the release of the latest science panel report, Frank Gorham, the chair of the Coastal Resources Commission, directed state staff not to look at what economic impact sea-level rise could have over the next 30 years. Gorham favors leaving sea-level rise policy up to local towns and counties. The earliest the state legislature could get involved is next year, but it is likely an already skeptical General Assembly will follow Gorham’s lead and punt the issue back to coastal communities. That means town managers like Chris Layton will be under enormous pressure to evaluate the research and try to find resources. And while he says Duck isn’t ready to give up any time soon, he is realistic. That’s tough to hear if you have lived in the Duck your entire life. 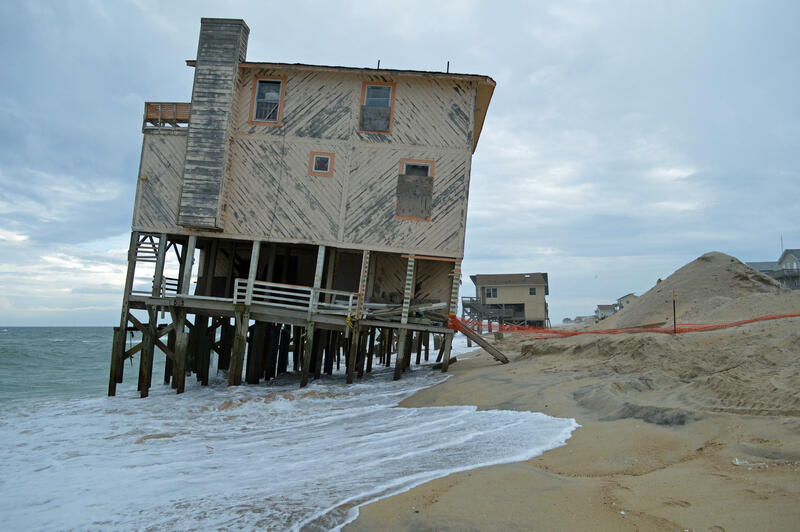 But coastal folks are resilient, and living day-to-day is a way of life on the Outer Banks. Across Highway 12 from Britt’s house, on the ocean side, the town is about to begin construction on a multi-million dollar beach nourishment project. It is a coordinated effort with Kitty Hawk and Kill Devil Hills, to the south. It is one of the most obvious and expensive ways towns on the coast are quite literally trying to hold off the rising water, and hold on to their property, their history and their purpose. A condemned house in Nags Head.